ConceptLab’s purpose is to foster collaborative research on “conceptual engineering” – the critique and improvement of concepts. We investigate concepts from across philosophy and beyond. The center’s remit thus covers all areas of philosophy: theoretical, practical, and historical. We organise seminars and talks, collaborate with other philosophical research centres around the world and we will host research projects (as members of the group get them). All our events are open to everyone. The group is led by Herman Wright Cappelen, Øystein Linnebo and Camilla Serck-Hanssen. ConceptLab runs a variety of events, from visiting speaker seminars to workshops and larger conferences, as well as various in-house courses and seminars for its members. On this page you will find information about these events.  If you are interested in keeping yourself updated about ConceptLab activities, please subscribe to our e-mail list. You may also follow the ConceptLab Google calendar. According to standard (ante rem) structuralism, sets are places in a certain structure. It follows that sets have a number of unwelcome features. For example, sets seem to exhibit an asymmetric dependency on their elements and the totality of all sets seems to be inherently potential. But the structuralist must deny this. In this talk, I propose a new form of structuralism. According to it, sets are not places in a certain structure, they are structures themselves. I show how this view overcomes the above problems. In Naming and Necessity, Kripke was careful not to prejudge which notion of necessity was ‘necessity in the highest degree’, and left it as an open question. In this talk, I will sharpen Kripke’s open question and make significant progress towards answering it. The investigation will involve a study of how different ‘objective’ modalities, such as physical necessity, interact with one another and behave. By studying such interactions, there is much insight to be gained into which notions of necessity are suited to be necessity in the highest degree. We consider a handful of solutions to the liar paradox which admit a naive truth predicate and employ a non-classical logic, and which include a proposal for classical recapture. Classical recapture is essentially the property that the paradox solvent (in this case, the non-classical interpretation of the connectives) only affects the portion of the language including the truth predicate – so that the connectives can be interpreted classically in sentences in which the truth predicate does not occur. We consider a variation on this theme where the logic to be recaptured is not classical but rather intuitionist logic, and consider the extent to which these handful of solutions to the liar admit of intuitionist recapture by sketching potential ways of altering their various methods for classical recapture to suit an intuitionist framework. Because ideologies are macro-level phenomena that help us understand the persistence of social structures and, depending on the case, unjust distributions of resources and opportunities, they raise the question of how the psychology of individual agents—a micro-phenomenon—is related to an ideology. Ideologies pose this micro-macro problem in a particularly acute way because they can operate without the conscious awareness of the people whose thought and action we understand by invoking them. In such cases, standard pictures of how social-level cognitive elements can be related to individual-level ones, e.g., via the notion of common belief, are inapplicable. This paper proposes a new model for how the psychology of individual agents is related to a social-level construct like an ideology, inspired by the paradigm of semantic externalism about reference. Because semantic deference generally operates below the level of individual consciousness, it’s a promising model for understanding how ideologies function. The paper goes beyond these more familiar forms of deference in arguing that speakers can defer about the explanatory resources they deploy. The paper makes this case by using generic generalizations as a case study. Abstract: It is a familiar idea that some contributions to an outcome seem to be difference-making whereas others may not. The distinction has been put to theoretical uses especially in the debate on causation, and it has typically been explicated in terms of counterfactuals. In it simplest form, the idea is that an event c made a difference to an event e just in case if c hadn’t occurred, then e wouldn’t have occurred. The relevance counterfactuals are in turn usually given an interpretation in terms of possible worlds, namely as concerning what happens in the nearest alternative possible worlds where the putative difference-maker does not exist. The talk will explore some natural ways to understand the idea of difference-making in terms of possible (or indeed impossible) truthmakers, and discuss both what distinctive benefits such an approach may offer, and what distinctive challenges it may face. ABSTACT: Eliminativist debates exhibit a familiar pattern in the history of philosophy. Eliminativists maintain that K doesn’t exist (where K might be morality, race, belief, etc.) because K is given its content by a false theory. This position is opposed by preservationists who say, in effect, Ks aren’t what we thought they were. Some philosophers maintain that the theory of reference will settle the issue between eliminativists and preservationists. In this talk, I’ll argue that (at least) two conventions regarding reference are available to speakers. This affords an interpretive flexibility which allows us to make sense of the apparent disagreement between eliminativists and preservationists by charitably interpreting them as assuming different reference conventions. In addition, once we allow that there are different reference conventions available, I suggest that we can take advantage of this in deciding which reference convention to use in a conversation. ABSTRACT: This talk seeks to clarify debate over the nature, existence, extension, and analyzability of normativity, by investigating whether different philosophers’ claims are about the same subject or (as argued by Derek Parfit) they are using the terms ‘normative’ and ‘normativity’ with different meanings. While I suggest the term may be multiply ambiguous, I also find reasons for optimism about a common subject-matter for metanormative theory. This is supported by sketching a special hybrid view of normative judgment, perspectivism, that occupies a position between cognitivism and noncognitivism, naturalism and nonnaturalism, objectivism and subjectivism. I explore three main fissures: between (i) the “normativity” of language/thought versus that of facts and properties, (ii) abstract versus substantive, and (iii) formal versus robust normativity. ABSTRACT: In this paper I investigate how conceptual engineering applies to mathematical concepts in particular. I begin with a discussion of Waismann’s notion of open texture, and compare it to Shapiro’s modern usage of the term. Next I set out the position taken by Lakatos which sees mathematical concepts as dynamic and open to improvement and development, arguing that Waismann’s open texture applies to mathematical concepts too. With the perspective of mathematics as open-textured, I make the case that this allows us to deploy the tools of conceptual engineering in mathematics. I will examine Cappelen’s recent argument that there are no conceptual safe spaces and consider whether mathematics constitutes a counterexample. I argue that it does not, drawing on Haslanger’s distinction between manifest and operative concepts, and applying this in a novel way to set-theoretic foundations. I then set out some of the questions that need to be engaged with to establish mathematics as involving a kind of conceptual engineering. I finish with a case study of how the tools of conceptual engineering will give us a way to progress in the debate between advocates of the Universe view and the Multiverse view in set theory. Talk by Annalisa Coliva: Is numerical cognition cognition of natural numbers? ABSTRACT: In this paper we take issue with what we call the “Standard View” in cognitive studies on numerical cognition. According to the standard view, there is no distinction in kind between what we call “adult putatively-arithmetical resources” and the system of intellectual resources actually involved in mathematical theories. Moreover, adult putatively-arithmetical resources are considered continuous with what we call “basic putatively-arithmetical resources”. We first criticize this latter thesis, by claiming that these resources aren’t based on numerical representations. We then criticize the former thesis by showing how counting and even more complex abilities, characteristically possessed by most adult human beings, do not suffice for having the concept of a natural number. We close by expounding on the significance of these findings in the context of conceptual engineering and with some recommendations for future empirical research in this area. ABSTRACT: Recently, many philosophers, including David Chalmers (2011), David Plunket (2015), and Amie Thomasson (2017), have argued that there are many significantverbal disputes to be had in metaphysics (and philosophy)—as well as elsewhere. And this is because disputes about ‘art’, ‘person’, ‘consciousness’, ‘freedom’, ‘good’, or ‘knowledge’ as well as ‘torture’, ‘democracy’, ‘marriage’, or ‘woman’ can be significant. These words do matter, in the appropriate sense. This is a very important insight into the nature of the disagreement that these significant verbal disputes manifest. In this paper, we want to distinguish this insight from a common related claim concerning the expression of such disagreement in language. To wit: that many of the disputes in question are to be seen as so-called “metalinguistic negotiations” (Plunkett & Sundell 2013). Not every negotiation about words—not every verbal dispute that expresses a disagreement about how a word should be used—qualifies as a metalinguistic negotiation in their sense. Whether there exist cases of metalinguistic negotiation proper is, however, an interesting claim in itself, but also something linguistically controversial. This controversy one can simply avoid when vindicating the significance of verbal disputes. ABSTRACT: It is commonplace, although not uniform, to talk of linguistic meanings and concepts as if they were either identical or at least so closely related as not to warrant explicit separation. I will outline a view of language and thought that clearly distinguishes the two. I suggest that they track different phenomena and have different explanatory roles. This has implications for a proper understanding of meaning change, conceptual engineering, normativity and truth. ABSTRACT: Rarely do we utter ‘every F’ to talk about absolutely every F, or ‘some G’ to talk about any G whatsoever. Yet it hardly seems plausible that we typically have in mind the sorts of ultra-specific restrictions that linguists and philosophers have posited are to be found in the logical form of quantifier phrases. The present essay will explore whether there is some viable way of explaining how we can mean restricted quantifiers when we utter sentences containing quantifier phrases like these. I will argue that the most viable option is to accept that quantified thoughts are very often vague, and that it is such vague thoughts that we typically express by means of sentences containing quantifier phrases. ABSTRACT: The grounding revolution in metaphysics has arrived. But philosophers use ‘ground’ in many, and sometimes contradictory, ways. Paradoxes and verbal disputes loom. The area is ripe for conceptual engineering. 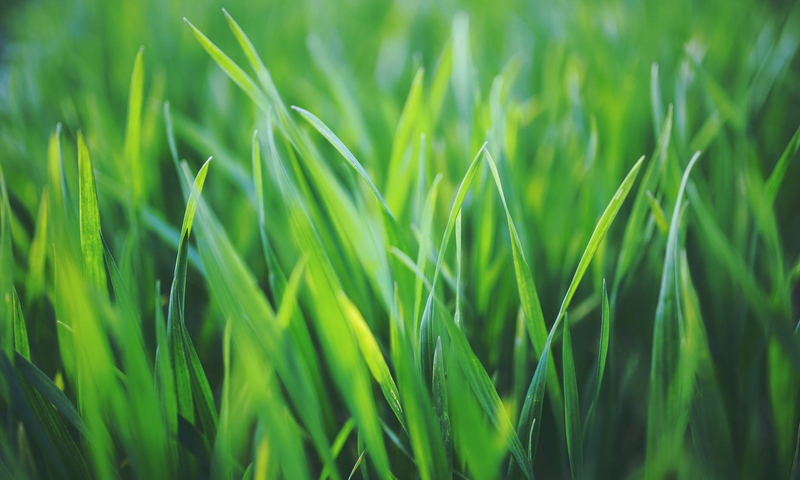 I examine some features of the grounding literature, the roles ground is supposed to play, and recent skepticism about grounding. Particular attention will be paid to the metaphysics of mind. I draw lessons about how we should, and should not, think about grounding. The conclusion is relatively modest: We should not give up grounding. But we should aim for less.